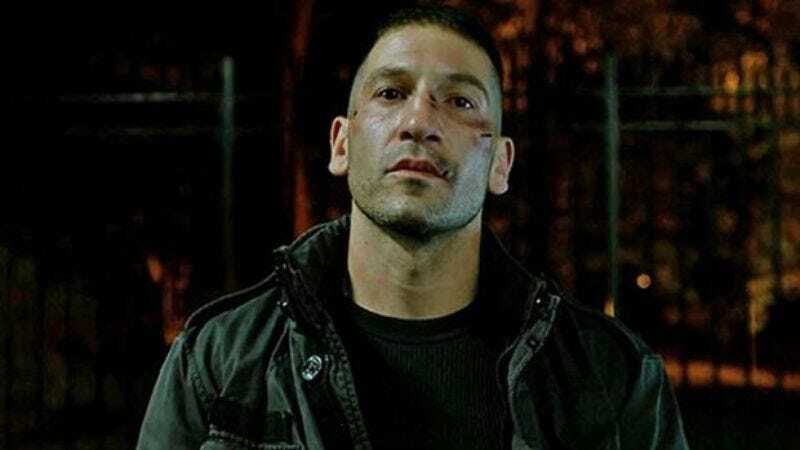 Jon Bernthal bowled over viewers with his portrayal of Frank Castle in Netflix’s Daredevil, so much so that he’ll become The Punisher in a spin-off series. Earlier this year, the Walking Dead alum has said that we haven’t seen the Punisher really get down to brass tacks, i.e.., shell casings. Castle will engage in much more unsanctioned adjudicating once he’s inhabiting his own corner of Hell’s Kitchen. But that brand of street justice is precisely what’s going to get Bernthal into trouble in his next film role. Empire Magazine reports that Bernthal will lead the crime-thriller Stingray, from writer-director Anthony Hayes (The Slap). Bernthal’s character will get caught up in a “blood feud” with a “notorious criminal” after he kills that individual’s brother. His punishment for the slip-up (or execution): He’ll have to off one of his own family members. No other cast members have been announced, so we don’t yet know whose death is going to be avenged or proffered to pay off this “debt,” but filming on Stingray begins next April.